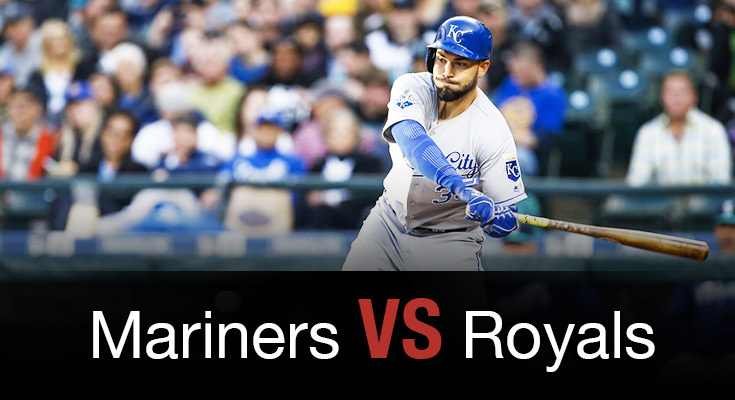 The 2015 World Champion Kansas City Royals will conclude the first half of the season by hosting the Seattle Mariners in a four-game series (July 7-10). Kansas City has Danny Duffy on the mound to face James Paxton of the Mariners. According to oddsmakers at Bovada.lv, Kansas City is a -130 favorite to win tonight. The Mariners are getting odds of +120 on the road, while the over/under total for the game has been set at 8 runs. The Seattle Mariners look for consistency after splitting their last 14 games. The Mariners have scored 11 runs in their last three games and four or more runs in 10 of their last 13 games. The Seattle Mariners offense is rolling right now, and they’ve won seven of their last nine games when scoring more than three runs. Robinson Cano leads Seattle with 107 hits, Kyle Seager has 56 RBI and Nelson Cruz has 22 home runs. James Paxton gets the nod, and he’s 2-3 with a 4.24 ERA and 43 strikeouts this season. Paxton is 1-0 with a 2.16 ERA and 11 strikeouts in his career against the Royals. The Kansas City Royals could use a win after losing five of their last six games. The Royals have allowed 18 runs in their last three games and four or more runs in six of their last nine games. The Kansas City Royals have an ERA of 4.19 and have lost nine straight games when allowing more than three runs. Offensively, Eric Hosmer leads Kansas City with 99 hits, Alcides Escobar has 22 RBI and Kendrys Morales has 15 home runs. Danny Duffy takes the hill, and he’s 4-1 with a 3.11 ERA and 87 strikeouts this season. Duffy is 0-1 with a 1.69 ERA and 15 strikeouts in his career against the Mariners. Support your favorite Player! Start betting now! Paxton defeated Baltimore in his last start, when he gave up four runs – three earned – and nine hits in 5 2/3 innings. He struck out just two batters against the Orioles after fanning seven or more in four of his six turns. Paxton is 1-0 with a 2.16 ERA in two career starts against Kansas City.Duffy has put together consecutive stellar outings and has won each of his last three decisions. He allowed two runs and seven hits in 8 2/3 innings while beating Philadelphia in his last turn and gave up two runs and six hits in eight frames while knocking off St. Louis in his previous turn. Duffy is 0-1 with a 1.69 ERA in five career appearances (three starts) against Seattle and has experienced issues with Cano (4-for-11, one homer).